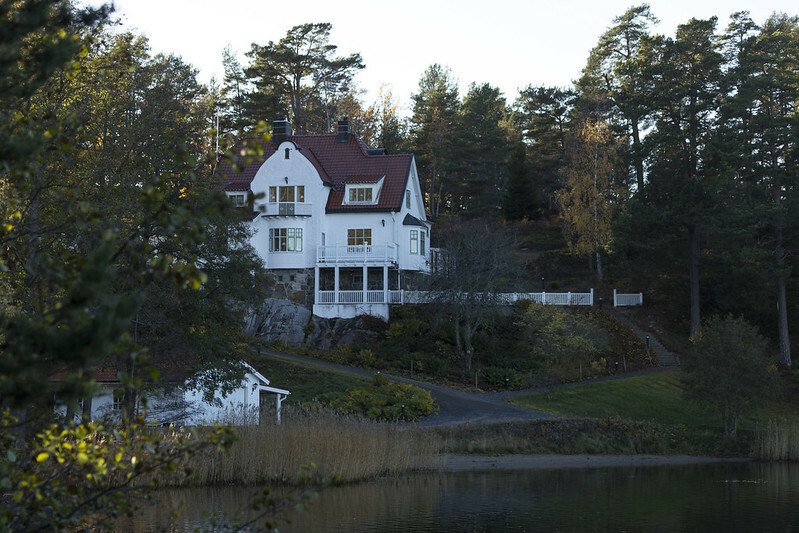 A picturesque villa from the turn of the last century at Lövhagen in Nynäshamn, just meters from the bay. The owner wanted to build nine new houses on the hillside behind this property but the municipality but a stop to that idea. Second photo shows a newer house on the same property. 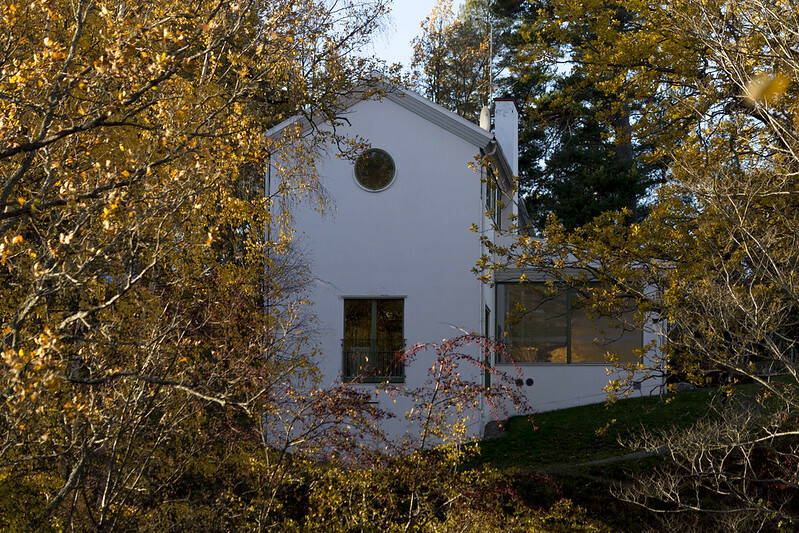 Villa Hamnvik, (Hamnviken is the name of the bay), is today used as a conference centre under the name Tänkarstugan. Translated to English that means The Thinking House or something like that. Two super properties Steffe, perhaps the council didn't want this idyllic spot to get too overcrowded? That would me my guess as well Grace. I assume so as well. I like the architecture. Glad to see a municipality stand up for the community over the rich developers. But don't get this American started on that front. Anyway, I want to thank you here for your kind posts to my blog after my recent absences. I've been really trying to cut back on screen time these days and that includes the photo posting and the Facebooking. I'm feeling amazingly less stressed ! What a fine setting for these two buildings. And that setting would provide many opportunities to get out and greet nature during a "thinking" conference.